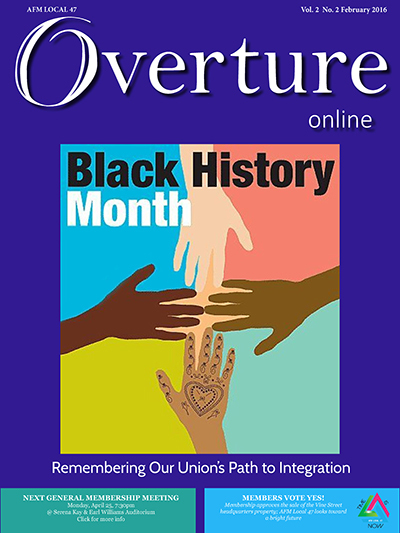 This entry was posted in All News, Overture Online and tagged Black History Month, Overture Online on February 1, 2019 by admin. WHAT: Opening night of BlackMusic, BlackWork, a historical exhibition showcasing the African-American musicians union Local 767 of Los Angeles of the 1920s through 1950s. 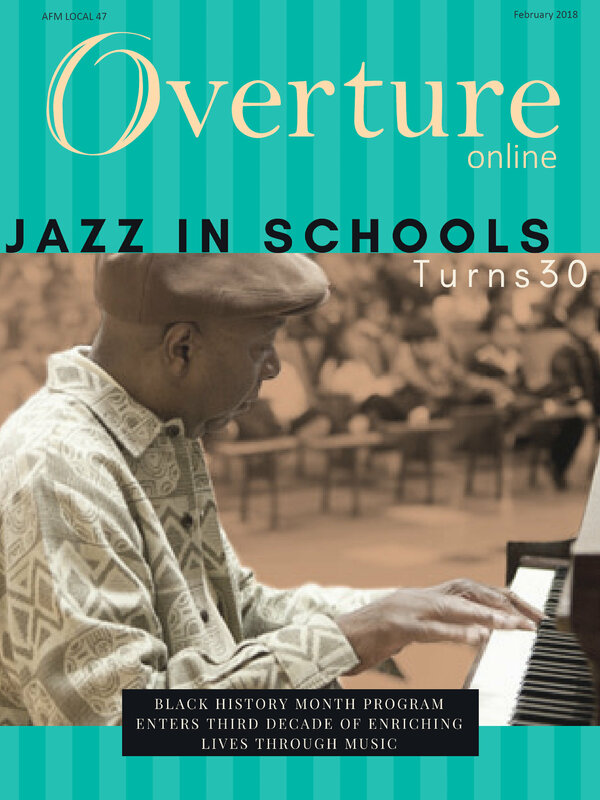 Thursday, Feb. 23, 2017, 6-9 p.m. 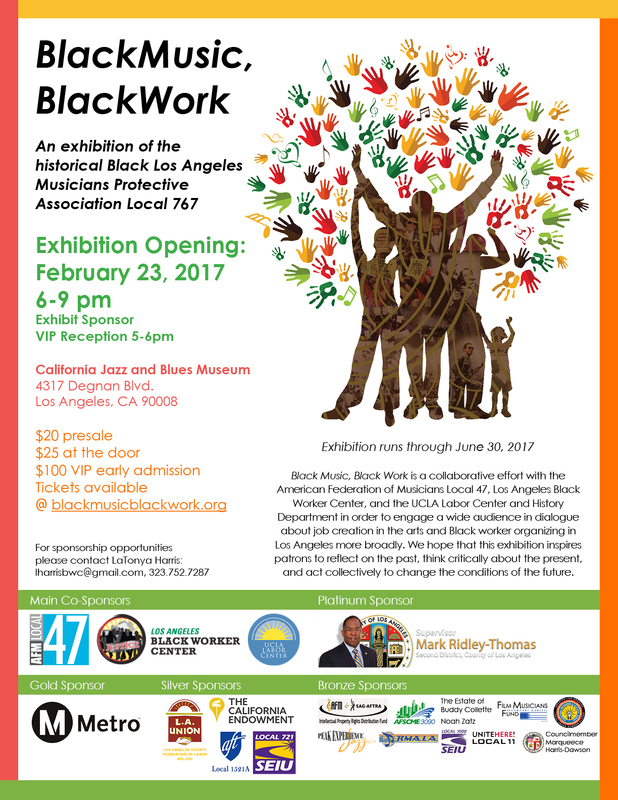 This entry was posted in All News, Press Releases and tagged AFM Local 47, Black History, Black History Month, BlackMusic BlackWork, California Jazz and Blues Museum, Leimert Park, Local 767, musicians union on February 10, 2017 by admin. 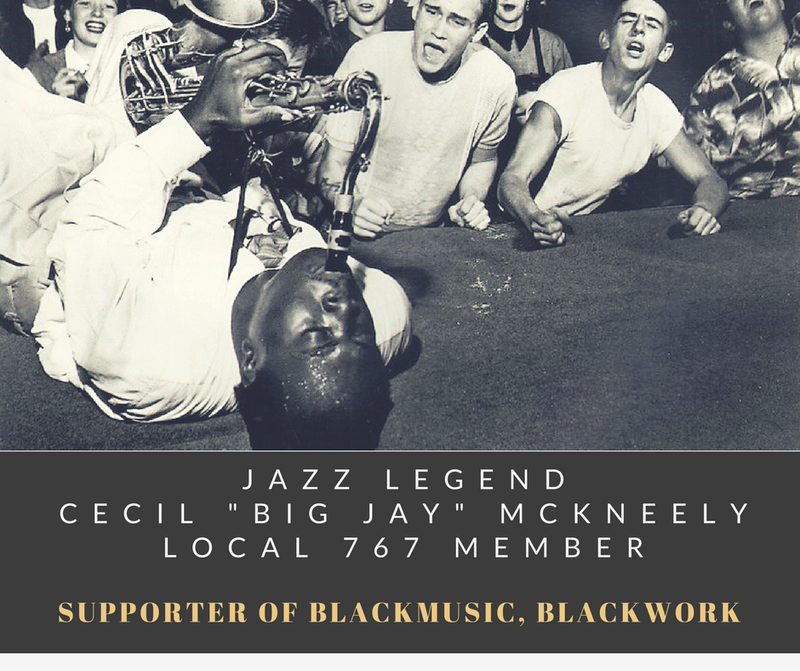 On the evening of February 23, please join us for the launch of BlackMusic, BlackWork, a historical exhibition that explores the unsung bravery and artistry of Black working musicians of Central Avenue in Los Angeles whose work transformed L.A.’s music industry forever. This entry was posted in All News, Events and tagged Barbara Morrison, Black History, Black History Month, Black workers, BlackMusic BlackWork, California Jazz and Blues Museum, exhibition, historical exhibit, Liemert Park, Los Angeles, Los Angeles Black Worker Center, Mark Ridley-Thomas, UCLA History Department, UCLA Labor Center on February 8, 2017 by admin. 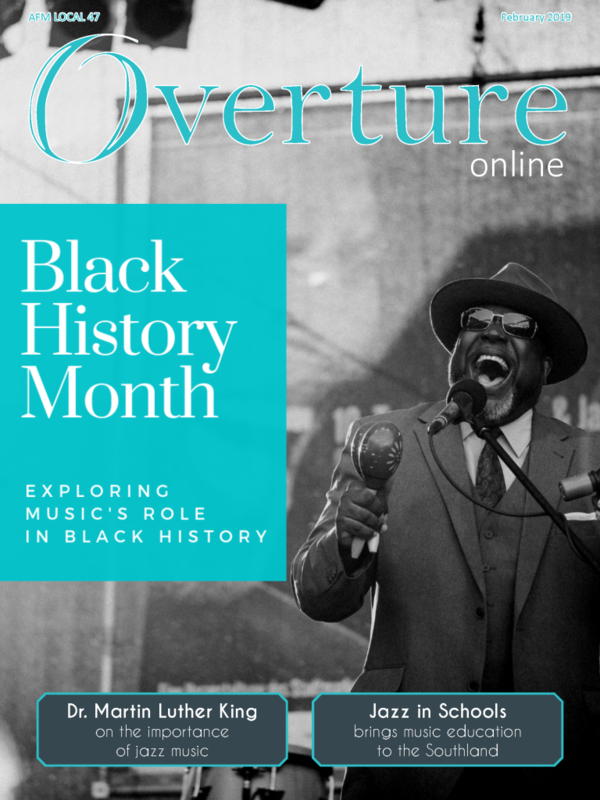 This entry was posted in All News, Overture Online and tagged Black History Month, Overture Online, Overture Online 2017 on February 2, 2017 by admin. 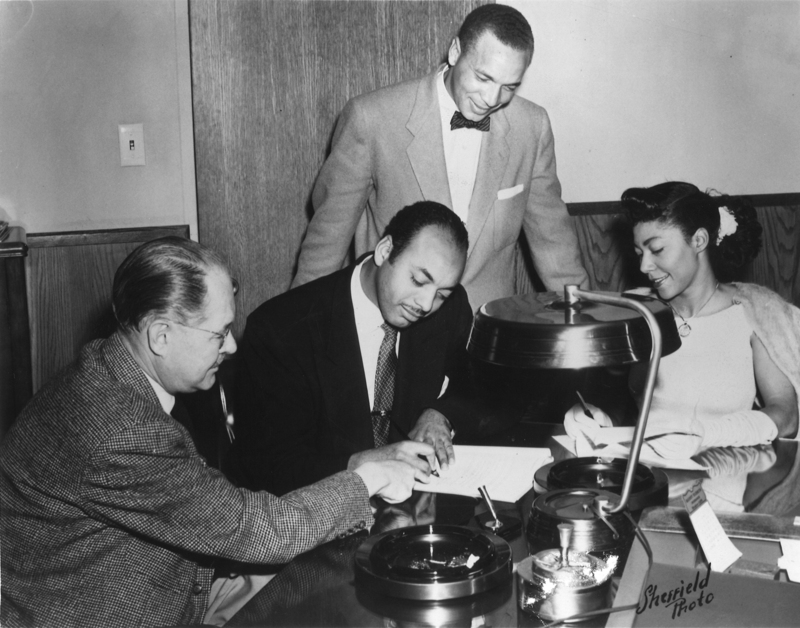 LA Labor Celebrates the Legacy of Dr. Martin Luther King Jr. 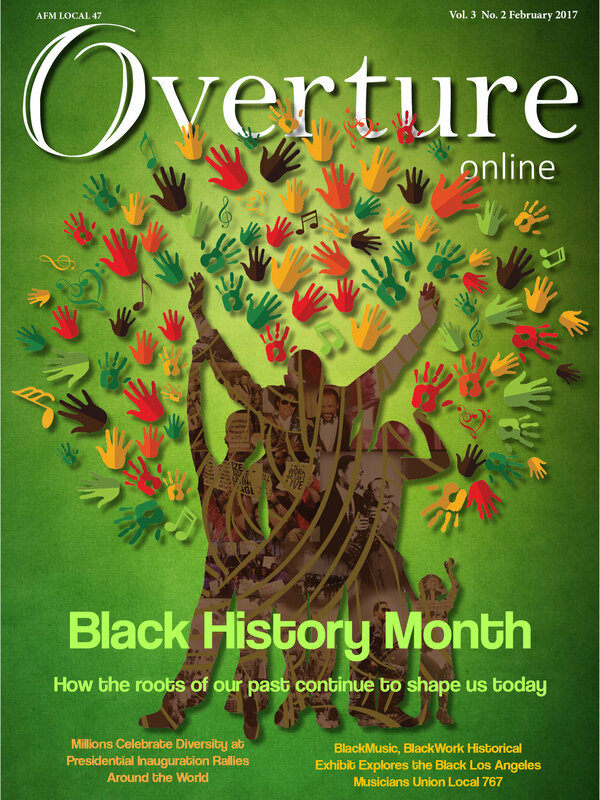 This entry was posted in All News, Overture Online and tagged Black History Month, Overture Online on February 4, 2016 by admin.